In part one of a two-part series on managing finances, Lynne Pearce explains how a little know-how can help relieve money-related anxiety. 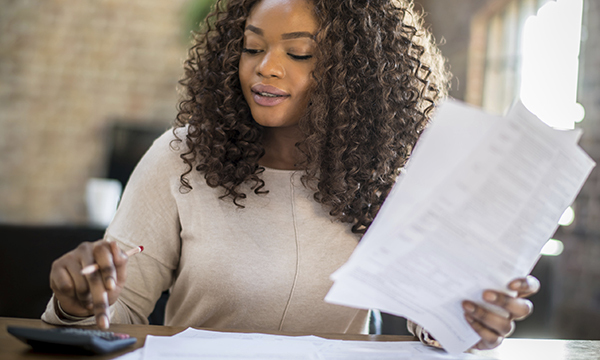 Qualifying as a nurse is an exciting time, but it can also be one of financial anxiety, as you swap the safety net of a student bursary for the uncertainty of looking for work. Many undergraduate nurses are mature students who already have significant financial obligations, including loans, mortgages and the cost of caring for dependants. After qualifying, immediate outgoings can include paying your registration fee for the NMC, joining a union and attending job interviews. The government-backed, free and impartial Money Advice Service recommends graduates shop around to find the best bank account for them. If you are overdrawn, finding an account with the best and longest-lasting deal can make a real difference, and paying less interest means you can clear debts faster. Careful budgeting can help you avoid expensive overdraft charges, and if your balance is positive, look for an account that offers the best interest or perks. The website MoneySavingExpert.com says ‘banks love fresh grads’, with many competing to offer exclusive deals, such as 0% overdrafts for up to 3 years. It also advises using these offers to wean yourself off using an overdraft by gradually reducing the amount you owe so that by the time the interest-free period expires, you’re overdraft free. While those qualifying now won’t have to pay back tuition fees, grants or bursaries, maintenance loans will need to be repaid once you find a job. Students in England and Wales who started their course after September 2012 start repaying their loans once their annual earnings reach £21,000. If you stop earning, your payments stop and the loan is written off after 30 years. Before you can start work as a nurse, you need to register with the NMC. Current fees are £120 a year but you can claim tax relief worth £24 for UK basic rate taxpayers. In June, the NMC launched a new option to pay by instalments to help spread the costs, with quarterly direct debits of £30. RCN membership fees are halved for the first year – £98.43 rather than £196.85, or £8.20 a month instead of £16.40 – and you may be able to claim tax relief on the fee. Members who are UK taxpayers can claim up to 20% of their RCN membership fees. If you wear a uniform at work and are required to wash it yourself, you may also be entitled to tax relief on this, including shoes, tights and laundering costs. The RCN has a downloadable form to help you claim all of these allowances from HM Revenue and Customs in one go.